Everyone wants to try it, everyone wants to know how it’s done. The tortilla española (Spanish omelet) is a delicious meal that you’ll learn to make with our authentic recipe. Welcome to the temple of the Spanish tortilla in the USA: a space created by Spaniards where you’ll find the original Spanish tortilla recipe that’ll allow you to make the perfect tortilla, and is an invitation to consult many other typical recipes. Thousands of people look online daily on how to make a Spanish tortilla. There must be a reason! But a recipe like that of the Spanish tortilla is nothing in itself, unless it’s put into practice again and again, since it’s necessary to practice to grasp the small nuances that no one explains and which, in many cases, make a Spanish omelet as it should be. 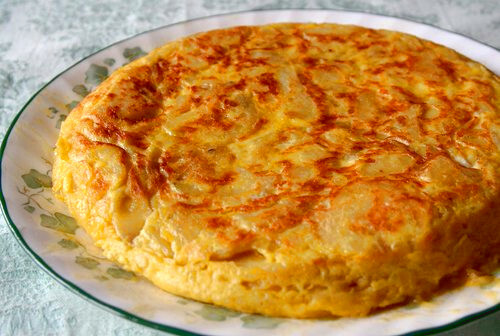 To make a tortilla española (or tortilla de patatas), in principle only eggs, potatoes, olive oil and salt are needed. However, in Spain we say that there are no two omelettes that look or are the same. In fact, there’s not one tortilla de patatas recipe, but hundreds of them, since at the time of making a Spanish omelet there are dozens of variables in the preparation: deep fry, stir fry or boil the potato, opt for additions or make it only with potato, egg and olive oil, to cook the egg a lot or to leave it half cooked, etc. It’s one of the greats of the kitchen. In fact, you may need to make a hundred tortillas de patatas before making the perfect tortilla, unless you follow scrupulously the secrets of the Spanish omelet recipe that we’re now going to unveil. 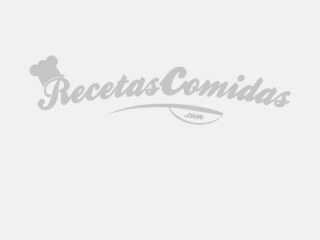 This is the easy Spanish omelette recipe made in Spain with which you’ll get the first attempt to make the tasty and irresistible tortilla española auténtica. Peel the potatoes, cut into slices less than ½ inch thick and fry on a medium heat in a frying pan with a generous covering of olive oil. At the same time, beat the eggs with salt and put to one side. When the potatoes are soft, drain them with the aid of a slotted turner to remove excess oil, and when they have cooled a little, place them into the bowl of the beaten egg. Mix them into a homogeneous consistency. Cook the Spanish omelet mixture in a non-stick skillet with a little oil. When the oil’s very hot, pour in the whole liquid and keep it at medium-high temperature until it sets on one side. With the help of a dish or a lid with a diameter slightly smaller than the pan, turn the tortilla over, and keep it on the heat until it’s cooked on both sides. If you want to make a classic Spanish omelet, like the ones made by our grandmothers in Spain, you just have to follow the steps of this recipe. 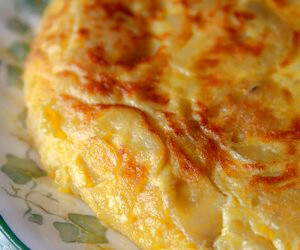 But if you want to add a touch of extra flavor to your omelets, you can try to add one or all of the following: a splash of white wine to the potatoes while frying them with olive oil, spice the mixture of ”la tortilla española” with a little paprika, ground garlic, oregano or parsley, or add some chopped sausage. Another very important issue in the Spanish tortilla recipe is the use or not of onion in the mixture. If you choose to add it, you have to stir it with the potato until it’s tender and transparent. Leek is an alternative to the onion that gives a sweeter flavor to the Spanish omelet. 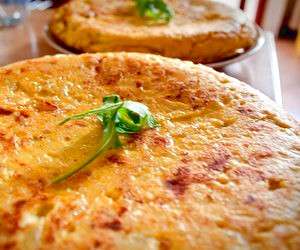 There are a number of details that can be considered in the tortilla de patatas recipe if you want to make it as tasty as possible. To achieve this, it’s recommended to use one extra egg in the list of ingredients, beat the yolks and the egg whites separately, and heat the pan a little more than normal to cook the surface of the tortilla and leave the inside less cooked. As you can see, there are many nuances when what you want is to get the perfect Spanish tortilla. Another tricky issue is to flip the tortilla, something that should stop being a problem after you’ve cooked at least twenty omelets! It's pure math. If you don’t get it, you’re going to have to buy yourself a double pan specially for Spanish omelets! So you’ve just learned many things: you now know that omelette in Spanish is written tortilla. You’ve learned the authentic tortilla española recipe. And you’ve learned secrets about the cooking of the Spanish tortilla that not even all Spaniards can do! You've earned yourself a break and a good Spanish tortilla with a glass of Sangria for dinner, don’t you think? Prepare yourself to know everything about la paella and to know the authentic Spanish paella recipe as it’s made in Spain! Few desserts are as delicious as crème brûleé. This is the easy crème brulée recipe you have to follow for this magnificent home dessert. Everyone knows how to make Sangria, but you have to use the exact ingredients and follow all these tips to talk about the best Sangria recipe. Short-crust pastry stuffed with delicious chicken, beef, seafood ... Oh my God! If you want to enjoy your food, you have to try these delicious empanadas. Learn to make homemade churros following our original authentic Spanish recipe! A hot churro drenched in chocolate is a divine pleasure. As Spaniards, we are proud to present for you the traditional gazpacho recipe and all these interesting stories about gazpacho. The authentic albondigas soup is a Spanish dish with a delicious Mexican version: the famous meatball soup. Do you want to know the recipe? The buñuelos recipe comes from Spain, and has little to do with cinnamon tortillas. If you like Mexican donuts, then you’ll love Spanish buñuelos! Have you tried the Spanish migas with chorizo? It’s an easy and delicious recipe with which you can make using yesterday’s stale bread.